Welcome back to our Book of the Month feature at Fat Quarter Shop! 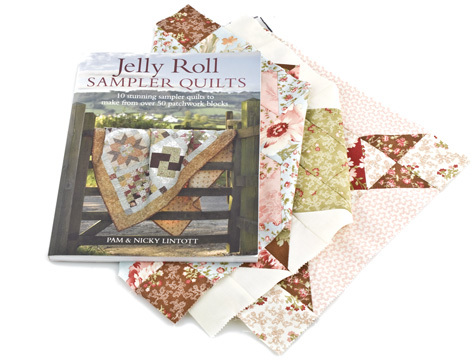 This month we are featuring the Jelly Roll Sampler Quilts Book by Pam & Nicky Lintott. Cheryl is here today to take us on a little adventure inside the book. And remember, the Book of the Month is 20% OFF all month long! Hi, it's Cheryl, sharing my favorite Book! I am sooo inspired by the new Jelly Roll Sampler Quilts by Pam & Nicky Lintott. This wonderful 128 page book is a compilation of over 50 patchwork blocks, which can be beautifully mixed, mingled and interchanged to create your own unique customized sampler quilt. 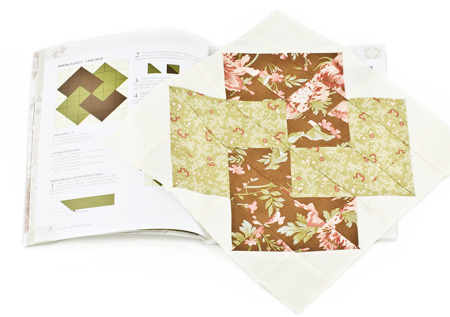 Instructions for each block and for the sampler quilts are beautifully illustrated and easy to follow. 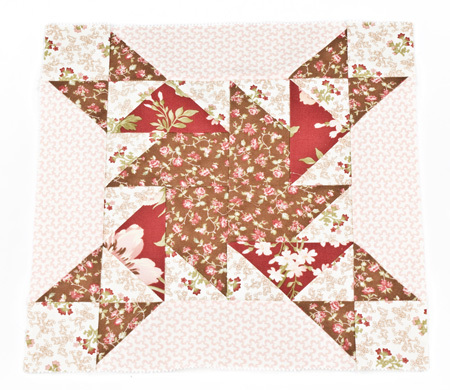 So many beginners start their quilting journey by making a classic sampler quilt. There are 10 stunning examples in the book, including a basket sampler, snowball sampler and star sampler just to name a few. Just choose your favorite blocks (which will be no easy chore! ), then decide on one of those luscious jelly rolls, and you are on your way to sampler quilt heaven! 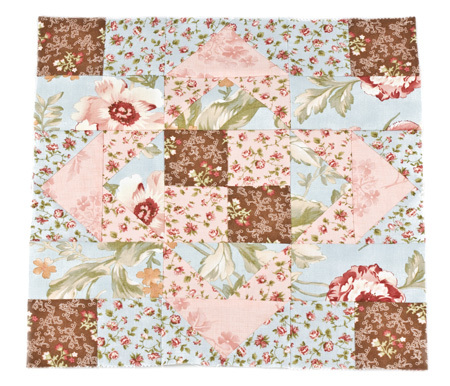 My 3 blocks were made using Moda's new Butterscotch & Roses by Fig Tree Quilts. As you can see, your blocks can take on different looks depending on your fabric choice - have a cottage chic blended look, a bold graphic look or a very traditional look. This book is guaranteed to keep your creative juices flowing - now just to pick a few jelly rolls...batiks, florals, 1930's reproduction prints, novelties - I can't stop! !